Christopher Elton was born in Edinburgh and received most of his musical education at the Royal Academy of Music in London, where he achieved the unusual distinction of gaining the Academy’s highest performing award - the Dip. RAM - on both piano and ‘cello. Christopher Elton’s international recognition has come as a result of the many successes of his students at the Royal Academy of Music. 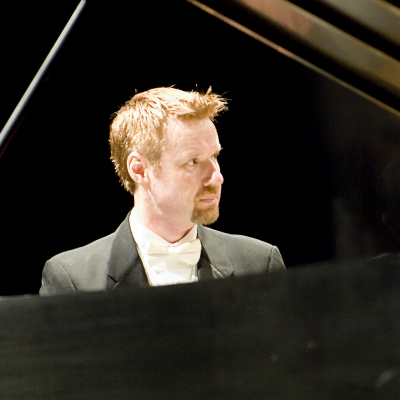 Many have won international awards, including first prizes in the Van Cliburn and London “World” International Piano Competitions as well as in Jaen, Newport, Dudley and New Orleans. Further recent successes have come in the finals of three recent Leeds International Piano Competitions as well as in the Leipzig Bach, Tchaikovsky, Dublin, Shanghai, and Taiwan Competitions as well as previous major awards in the international competitions in Santander, Geneva (CIEM), Munich (ARD), Geza Anda, Pozzoli, Mazaro del Vallo, Porto, Madrid, Ettlingen and the Stravinsky Awards in the USA. Students have also been successful in the prestigious Young Concert Artists award in New York, as well as in the London Young Concert Artists Trust. Many of his students are now recording artists. While his priority is to his work at the Royal Academy, London, Christopher Elton has also been much in demand overseas both as a teacher and as a jury member for international competitions.Within the last few years he has given masterclasses in the USA, Japan, Israel, Korea, Australia, Taiwan, Hong Kong, Spain, Germany and Ireland and Vietnam, many of them for important conservatories or universities. He has also been invited as a jury member at many important international competitions - Moscow (Tchaikovsky), Dublin, Leeds, Busoni (Bolzano),Vienna Beethoven, and China International as well as competitions in Germany, Japan, Romania, Taiwan, the USA and Ireland as well as in the UK. In November 2011 he will serve on the jury for the 2nd Shenzen International Piano Concerto Competition, and in 2012 on the Dublin, Ettlingen and Leeds International Piano Competition juries. During recent years he has also given recitals in the UK, USA, Ireland, Spain, Australia and Vietnam. In the recent Singapore International Piano Festival, three of the four performers, (Yevgeny Sudbin, Benjamin Grosvenor and Daniel-Ben Pienaar were either his students, or ex-students. Christopher Elton was Head of Keyboard at the Royal Academy of Music, London, where he was elected a Fellow in 1983, from 1987 to 2011. In 2002 the title of Professor of the University of London was conferred on him. He now holds the title of Emeritus Professor of Piano.